Positioned on an island at the junction of the Ottawa and St. Lawrence rivers lies beautiful Montreal - the biggest city in Eastern Canada and the nation’s “most European city”. As well as being adorned by stunning elements of European architecture, Montreal’s connection to the European continent is also evident by its love of the French language. Montreal is the world’s fourth-largest French-speaking city. Quite impressive, considering France and other Francophone countries have their fair share of sizable urban centers. 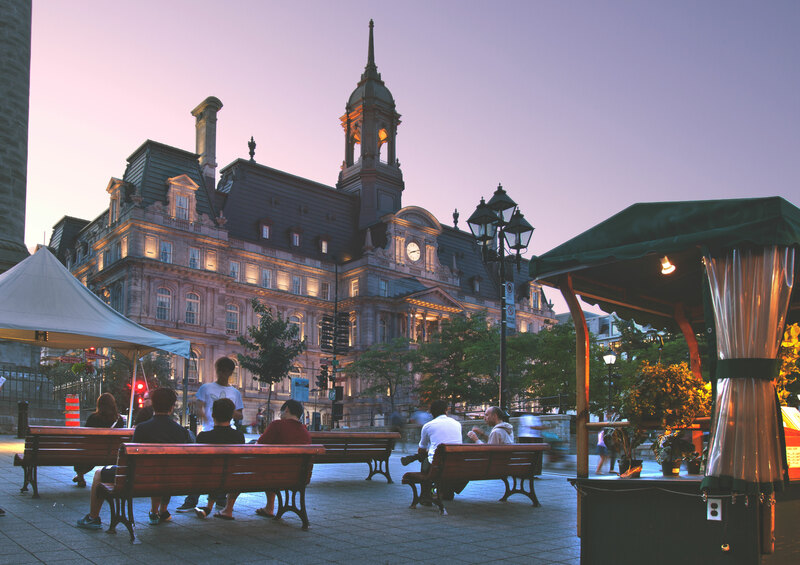 The diverse culture, picturesque streets, and wide range of tourist attractions in Montreal help to attract 10 million visitors each year, the bulk of who are vacationers and adventurers. Property investors have also been developing an interest in the city over the past few decades, with Montreal’s real estate market now growing steadily. Montreal condos are particularly promising as a strategic investment move, not just for international investors but also for Montreal residents. Let’s take a look at the bigger picture in the Montreal region and see why Montreal Condos are such a great way to live. 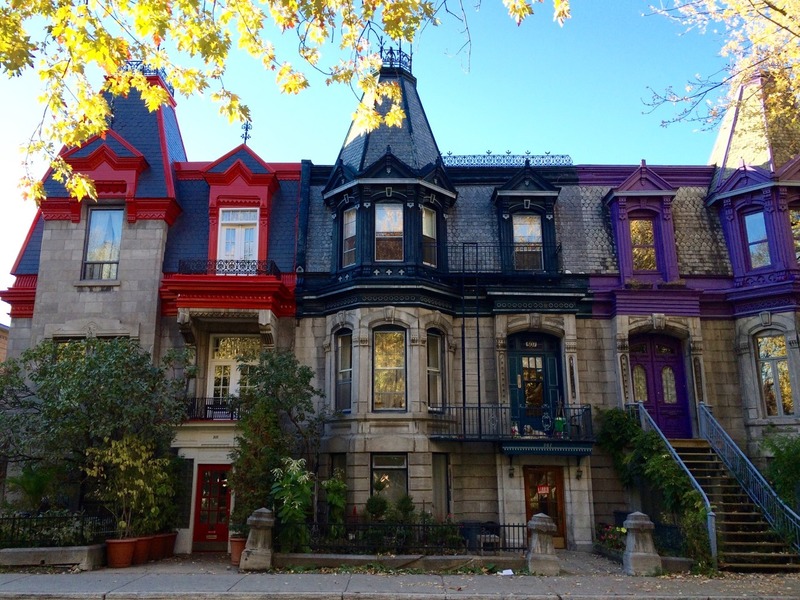 To start, let’s take a look at ten of the best neighborhoods to live in Montreal. Old Montreal is the oldest part of the city, dating back to the 1600’s. Located on the St. Lawrence River in the Ville-Marie borough, this part of town features some of the most impressive architecture in the entire city. Thanks to a permanent lighting plan initiated by the city’s forward-thinking leadership, this neighborhood is well lit during the night-time hours. This allows both tourists and locals to walk the streets safely and enjoy the architectural delights in all their glory. The neighborhood is a home to Bonsecours Market (dating back to 1847), Montreal Town Hall, science centre, parks, and museums. If you’re a history or art enthusiast, Old Montreal is an absolute gem. 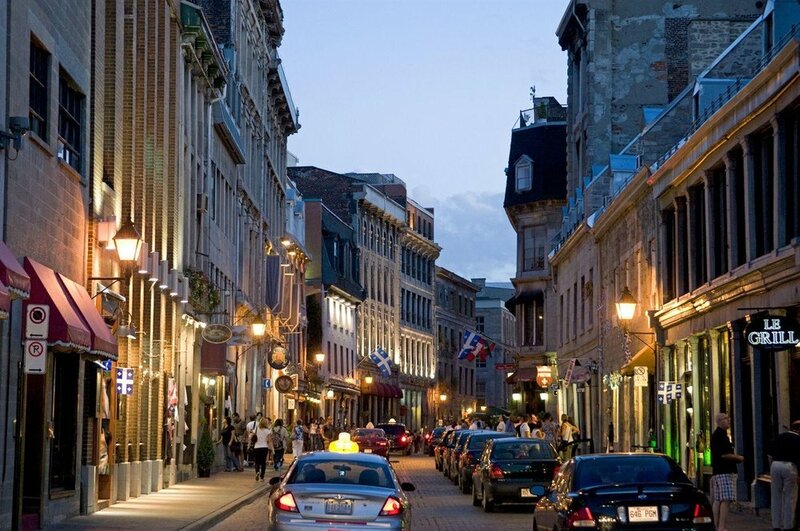 As the name suggests, Old Montreal is what the city was like before it grew to the dynamic metropolis it is today. The orange Metro line runs through this neighborhood, with the rest of the city easily accessible to Old Montreal’s residents. Due to its central location, you can even walk to the city centre and enjoy the beautiful architecture along the way. To the northeast of Montreal lies Le Plateau-Mont-Royal, an extensive neighborhood served by two of the city’s primary arteries: Boulevard St-Laurent, and Rue St-Denis. The prominence of this area is attributed to the magnificent Parc Lafontaine, which is perfect for summer picnics and lakeside walks. It’s also part of the reason why locals and visitors are increasingly seeking housing in Le Plateau-Mont-Royal. 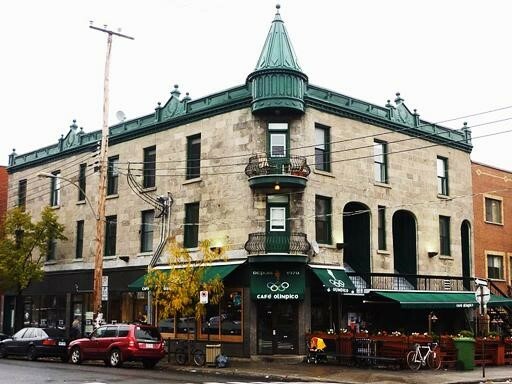 Le Plateau-Mont-Royal is a vibrant young neighborhood, with student-friendly streets full of charming townhouses, bustling cafes, eateries, busy bars, and contemporary galleries. As a result of ongoing demand, the average rental appreciation rate in this neighborhood is substantially higher than the Montreal average. Named one of the coolest places to stay in Canada, Mile End is positioned on the northwestern corner of Le Plateau. Previously considered part of Mont-Royal, this cosmopolitan area was only recently recognized as a distinct zone. With extensively diverse languages and ethnicities, this neighborhood almost feels like a United Nations convention. You’ll hear Portuguese, Italian, French, English, and a myriad of other languages from different continents. If you continue moving past Mile-Ex, you’ll end up in Rosemont, which stretches all the way to Maisonneuve Park and beyond. Residents seek out this area for its great outdoor attractions, which include 11 outdoor skating rinks, ten community gardens, and 55 parks. Housing in Rosemont is arranged almost like a series of urban villages rather than a distinct settlement. An interesting name for an interesting place, this neighborhood celebrates diversity and freedom. Also known as Gay Village, The Village is a vibrant part of the city where everyone is made to feel welcome. The LGBT community is particularly strong thanks to an array of gay-friendly establishments. The Village takes on a life of its own during summer when part of St-Catherine Street is closed off and transformed into an outdoor mall. You guessed right, with a wide range of Italian-Canadian restaurants, shops, and other establishments, this area has stayed true to its strong Italian community. And what are Italians best known for? It’s no surprise that some of Canada’s best food can be purchased from Little Italy’s restaurants, with Jean-Talon market also a fantastic foodie destination. This locality is particularly ideal for Montreal’s newcomers because rent is cheaper compared to many other popular neighborhoods. This part of the city is a traditional francophone working-class borough, with a cluster of housing blocks dominating the skyline along with Montreal’s Olympic Stadium. Other attractions in this neighborhood include the Biodome, Maisonneuve Market, Botanical Gardens, and Saputo Stadium. The vibrancy of this neighborhood can be attributed to its youthful population, which is one of the youngest in the city. Hosting over a hundred ethnicities from around the globe, this neighborhood is among a select few where neither English nor French is the majority language. This neighborhood does host the francophone Université de Montréal, however, which continues to attract investments in student housing. Ville Marie is a busy cosmopolitan zone right at the center of the city. This neighborhood is downtown Montreal, composed not only of the commercial business district but also beautiful Mount Royal Park. Ville Marie hosts an array of renowned universities and corporate headquarters within its western half, which is extensively adorned by skyscrapers. The eastern half is more residential, with a bustling population that seems to grow bigger every day. Griffintown has a rich Irish history, thanks to widespread immigration and settlement after the famine by Irish labourers. Along with its proud Irish heritage, this part of town is also famous as a foodie destination. If you’re looking for a steady supply of great food, Griffintown should be one of your prime considerations. Some of the world’s most renowned chefs are running restaurants in this neighborhood along Notre-Dame Street. Condo prices vary extensively here, with the cheapest being the old buildings along Lachine Canal, and the most expensive being the primo condos closest to Montreal’s downtown. Malen Capital is the muscle behind prominent condo developments like The Benvuto and Le Peterson. Undeniably one of the most magnificent developments in Canada, Le Peterson is particularly famous as the Ivy League standard of condo projects. Only a few notable developments come close to rivaling it from an architectural standpoint. Le Peterson is a 25-floor masterpiece located in Quartier des Spectacles, with this magnificent building serving as a hub for a wide range of activities in downtown Montreal. Luxury condo and fist-time home buyers get to enjoy panoramic views of the city, along with soaring windows, 18-foot ceilings, curvilinear balconies, entertainment lounges, gym, yoga studio and countless other amenities. Metropolitan Parking Inc is the powerhouse behind Loft Condominiums in Old Montreal, St. Luxury Apartments, and the award-winning Le Crystal de la Montagne. One of their most notable projects is the 38-story La Tour Icône, which is widely recognized as Montreal’s first smart condo building. This builder takes a unique approach to leveraging some of the latest technologies to emerge in state-of-the-art condo design. Among other luxury amenities, units come standard with exciting features like highly automated living controls and integrated smart processors. Samcon is what you get when you mix experience with architectural elegance. This builder has handled Le 2200 Letournex, District Atwater, BO Condominiums, Place Lajeunesse Appartements, Le LDV 5, Uni-T 3, SOL Condominiums, Le Montcalm, Le LDV 4, and most notably Drummond Condominiums. Drummond is particularly attractive due to its position on Drummond Street, right at the heart of Montreal. It boasts panoramic rooftop terraces, an outdoor heated rooftop pool, interphone systems, high-speed elevators, a well-equipped gym, and well-serviced apartment units. DevMcGill is one of the most seasoned condo builders in Montreal. Well-known condominium projects include Avenue32, Castelnau, TAK Village, NOCA, Beaumont, Ateliers Castelnau, ArtHaus, and M9-4. Positioned right in the heart of Montreal at the Griffintown and Old Montreal border, M9-4 is the last of the high-end M9 condominium projects. This costly project features contemporary interior fittings, lounges with panoramic views, gymnasium, swimming pool, spa, terraces, and high-speed lifts among other amenities. Devmont is another experienced builder with a very extensive portfolio. Their condo projects have been implemented in different phases across multiple locations, including The Westbury Montreal and Cote Ouest with 2 phases and Rouge Condominiums which has gone all the way to Phase 6. 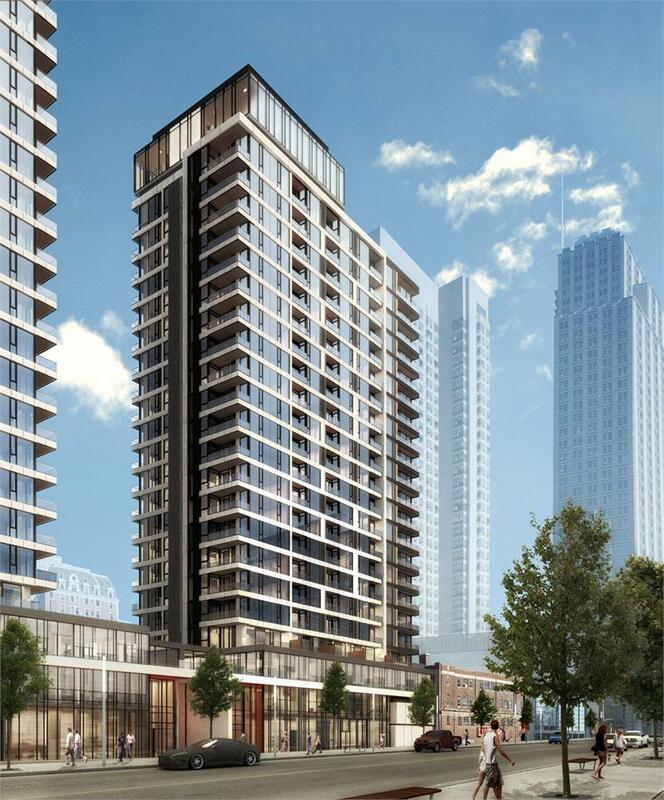 The Rouge condos are completely customizable and designed to meet specific client needs. Additionally, they come with energy efficient windows, bicycle storage, basement storage for each unit, air conditioning, hardwood floors, quartz countertops, and soundproofing. Prevel seeks to develop condos that facilitate “living well”. Some of their most notable projects include Union Park, Station Sud, Lowney Sur Ville, Les Habitations Roussillon, Les Bassins du Havre, Le Rose-Phillips, and Le 21e Arrondissement. Their latest project, Less Basins du Havre Phase 3, is scheduled for completion later in 2018. Some of its prominent features include spectacular downtown views, rooftop pool, private terraces, and upscale décor. With condo projects such as Oneeleven Condos, 75 On The Esplanade, Sixty Colborne Condos, and L’Avenue Condos, Carttera Private Equities is making a name for itself in Montreal’s luxury condo market. Completed in 2017, L’Avenue condos have air conditioning, designer fixtures, custom bathrooms, integrated kitchen appliances, contemporary countertops, hardwood flooring, terraces, indoor swimming pool, party rooms, sauna, cabanas, and a media room. Benvenuto group is known for a wide range of upscale residential developments in Montreal and Toronto. Some of their chief Montreal Condos and townhouses include Le Cour Langhorne, 83 Redpath, Onyx Condominium, and Le Peterson. 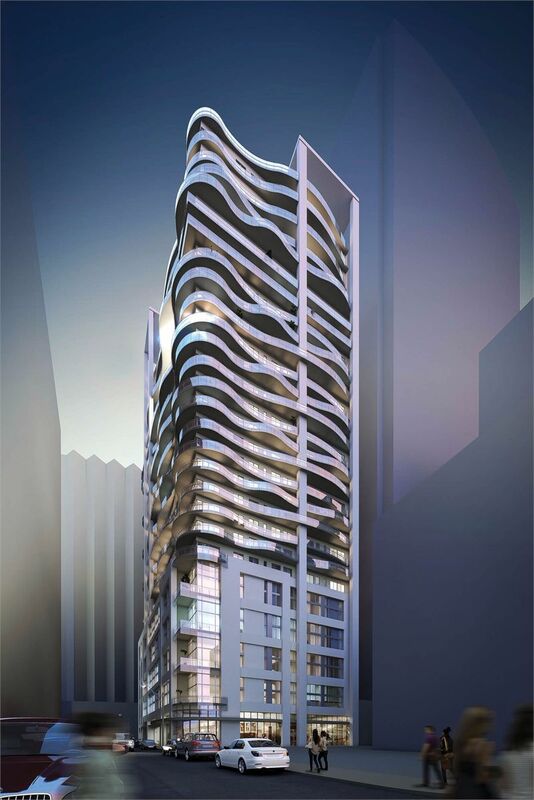 The sleek 10-storey Onyx Condominium project was completed in 2013 at 300 Avenue Troie. In addition to large balconies, its 107 condo units come with indoor parking, expansive low “E” glass windows, wide plank laminate flooring, designer bathrooms, Caesarstone countertops, shared courtyard, theatre room, gym and party room. Corev Immobilier is the team behind some exclusive, high-end condo projects, including 215 Redfern, Le 1420 Boulevard Mont-Royal, and the all-new TOM Condos. TOM Condos is particularly hard to miss in downtown Montreal. The 316-unit skyscraper features a yoga and pilates studio, party room, rooftop terrace, concierge, gym, indoor swimming pool, independent double demising walls, private loggia, and soundproofing. Starting out in 1973, MC Finance has grown to become a major player in Montreal’s real estate market. Two of the most prominent condo projects they’ve designed are Le Roc Fleuri and Roccabella. Positioned between the magnificent Mountain and Drummond Streets, Roccabella is expansive and particularly prestigious. It features a central commercial podium, which has been designed to support two 40-floor residential towers complete with 298 luxurious Montreal Condos. Some of the amenities its residents enjoy include a private projection room, reception hall, conference rooms, yoga, and pilates studio, gym, spa, sauna, indoor pool and a rooftop terrace. Going by a recent market outlook report released by the Canadian Real Estate Association, 2018 looks like a great year for Montreal condos and first-time buyers. Home prices have been increasing (condo prices increased by one percent YOY), as Montreal is becoming one of the hottest home markets in Canada. Total home sales in the Greater Montreal Area increased eight percent to 44,448 on the strength of condominium sales, and the Island of Montreal has seen great activity. It seems Montreal has a mind of its own, with average home prices forecast to rise by 3.2 percent over the year while other cities adjust to a decline in prices. While this is great news for sellers, it’s also favorable to investors and buyers who rush to acquire properties before additional appreciation. One of the principle reasons behind this is the population growth that Montreal is experiencing at the moment. While developers are always trying to establish new properties as quickly as possible, the numbers don’t come close to the settlement rate. More people continue to migrate to Montreal, which will place additional pressures on the real estate market going forward. To understand the effect on housing demand, compare the current availability of properties with that of previous years. The graph is on a steady decline, despite the fact that developers are increasingly building more units. The bulk of new Montreal settlers are millennials, who are having a significant impact on the market according to a report on Canada real estate trends in 2018 released by PWC in conjunction with Urban Lands Institute. The Montreal condo market can expect the biggest moves, with millennials continuing to favour the condo lifestyle. People who work in urban areas are prioritizing lifestyle and convenience over square footage, and there’s nothing as handy as city condo in a city like Montreal. While millennials have always loved condos, the senior demographic interviewed by PWC and ULI also find condos appealing because of their accessibility. Established buyers and investors are excited by the fact that condominiums are recording slower appreciation rates in Montreal, making it easier to find a deal at a favorable price compared to single house dwellings. There are many reasons why houses are more expensive, including land purchase costs, taxes, rates, and maintenance. While single dwellings on the island of Montreal appreciated at an average rate of 7%, and ‘plexes by 5%, condos only recorded 3%. This low level of appreciation is novel to Montreal and not likely to last forever. For example, condos in Toronto rose by a massive 14.1 percent between December 2016 and December 2017. There are a few selected areas in Montreal where micro-trends have already started to be recognized. In Ville Mont Royale, for instance, single house dwellings marked a 4% average appreciation rate while condo prices rose by 9%. If you’re in the market for a condo in Montreal, how do you secure your ideal place at a favorable price? Why are you planning to buy a condo? Defining the intended use of your condo is the first, and arguably most critical step in making a great buy. The perfect condo for a vacationer, for example, may not be ideal for a millennial working in the city. While the former would likely go for picturesque views and proximity to entertainment spots, the latter would rather settle for proximity to the city’s downtown area. Now that you understand exactly why you want a condo in Montreal, it’s important to have a detailed understanding of the options available. This is where you take a good look at how deep your pockets are and establish a budget based on your needs and market analysis. Thanks to the internet, skimming through the properties available in various neighborhoods is simple. You’ll notice that price is dependent on some key factors, including amenities, condition, proximity to key zones, and building and apartment size. It's important to do your homework on condos in Montreal and neighborhood areas at this stage of the process. How many bedrooms do you need? What kind of building are you looking for? What Montreal area do you want to call home? Before making a list, it's also important to check out the local amenities, including grocery stores, transportation hubs, and schools. While luxurious Montreal Condos are comparatively costlier, higher quotes don’t necessarily translate to better units. When buying a condo, it’s always important to focus on value for money and location. When you’re hunting for a condo for sale, you don’t have to go it alone. There are many condos for sale in Montreal. Unless you possess superhuman abilities, you need someone who’ll take the time to understand your needs and watch your back. Without an experienced team by your side, beautiful Montreal can quickly turn into a cruel urban jungle. Get a good real estate agent and mortgage broker to guide you through every step: financing, assessing available properties, closing the sale, and providing subsequent support. Real estate professionals have extensive knowledge about Montreal’s property market and understand the tricks needed to secure the best property available. When buying, brokers and real estate agents typically are at no cost, and you gain access to professional advice that will save you time, money, and headaches. Acquiring a city condo in Montreal is not as simple as swipe and buy. There are several legal procedures to follow, and corresponding contracts to sign. Despite these hurdles, it’s important not to be overwhelmed. After negotiating with a seller on your behalf, your agent can help you with legal advice, along with filling out the appropriate paperwork. Because condos in Montreal operate under a different legal structure than houses, it’s important to understand fees and taxes. When you purchase a condominium, you own a private dwelling along with a share of the building and common assets of the community. You will have to pay ongoing management fees for subsequent repairs and revamps, with occupancy fees also possible if you’re moving into a new condo. Before you get your keys, it may also make sense to organize renovations and upgrades to get a better deal. 1. What exactly is a condo? A condo (otherwise known as a condominium) is a legal term used to describe a private residential unit owned by an individual or group of people in a community. A condo is a form of ownership rather than a type of construction, meaning it can also describe townhouses, duplexes, and detached houses. 2. Why am I required to pay condo fees after full payment for the unit? What all condos have in common are shared amenities and services such as elevators, recreational living areas, gyms, stairs, indoor parking areas, swimming pools, courtyards, staff, and security services. Maintenance fees for these services are compulsory and dependent on the age of the building, the number of facilities and staff, and the size of the building among other factors. 3. How are Montreal condos priced? Sellers usually consider some factors when pricing a condo, including the floor area, cost of construction, private and shared features, market demand, and the precise location. To establish if quoted prices are fair or not, it’s always best to engage with an experienced condo buying expert. 4. What ongoing costs am I responsible for as a Montreal condo owner? After acquiring a condo, you’ll be required to pay for occupancy fees if applicable, the sewer bill, maintenance fees, property insurance, cable and telephone, electricity, and any property tax applicable for your unit. 5. When are Montreal condos the cheapest? Generally speaking, the lower the demand, the cheaper Montreal condos should be. While the market in Montreal is pretty stable right now, the city is increasingly attracting new settlers and prices may rise accordingly as they have in other Canadian cities. Some people choose to buy at pre-construction stage from a reputable builder, which can be a great time to capitalize if you don’t need to move in right away. Montreal residents are expected to pay property taxes twice a year, directly to the City of Montreal (Ville de Montreal). Collections are normally used to pay for amenities such as street lighting, road maintenance, public landscaping, policing, fire services, snow removal, recycling, and garbage removal. Because Montreal is consistently growing, new infrastructure projects and rising maintenance fees are constantly needed. To offset this, the council revises their rates on a yearly basis before publishing a complete table on their website. In 2018, for instance, property taxes in Montreal went up by an average rate of 3.3%. Unlike condo buying prices, condo fees are non-negotiable and mandatory for all building residents. Maintenance fees and other fees are channeled to a wide range of expenses, where they are broken down into three different areas: common area maintenance, reserve/contingency fund, and utilities. As the name suggests, common area maintenance is normally included in condo fees to cater for the maintenance and operation of the building’s common areas. This includes repairs to shared elements, snow removal, trash management, and the cleaning or indoor and outdoor common areas. The contingency fund, on the other hand, is a legal provision noted in the Civil Code of Quebec. Condo building managers are required to remit a portion of all monthly condo fees paid to their buildings’ contingency fund account. This is essentially an emergency reserve account in case of unexpected repairs and replacements. Utility fees include service bills such as electricity and water which apply to common areas. The utility portion caters for common area bills along with any additional billed services that are shared by condo owners. Some buildings, for instance, have shared internet which is best paid for through condo fees. The variation in condo fees between buildings is often due to the services used, staff employed, building age, and building size. No two buildings are expected to have the same maintenance and utility bill structure. According to a survey conducted by the Quebec Federation of Real Estate Board between May 2015 and April 2016, average condo fees in the city of Montreal were $234. This was $36 more than the average condo fees charged by all Quebec cities. The study also found that variations are mostly determined by building type and corresponding features. The first thing that excites people when they imagine living in a Montreal condo is the beautiful and expansive view of the city. Condo living allows people to liver closer to work and entertainment facilities that define this view, which can improve almost every aspect of the modern lifestyle. Regardless of the neighborhood you choose, Montreal is a functional and well-planned city that is a sight to behold. Waking up every day to enjoy breakfast on your condo’s balcony can be inspiring. Looking at the city skyline through your window as you go to bed can give you a sense of peace and connection. Unlike stand-alone houses in the suburbs, condo living can change how you live on a daily basis. Not only do condos keep you connected with the city around you through accessible transportation hubs and venues, but they also allow you to upgrade your lifestyle by providing access to gyms, swimming pools, and other common areas. Acquiring a condo in Montreal is a clever way to buy affordable, shared space in a prime area that would not be possible on your own. The decision to buy a condo could allow you to lead an independent and connected urban lifestyle with luxury and convenience - all at a fraction of the price it would cost to purchase and maintain a standard single dwelling home. While ongoing maintenance fees are often listed as a negative when people mention condo living, you’re only charged a fraction of the cost according to the number of residences in your building. From the benefits of accessibility and lifestyle upgrades through to the fun and security of living with a community, Montreal condos have the potential to change your life for the better. Want to learn more about which Montreal condos are ideal for you? Do you want to learn about condo financing? Maybe you want to know how to get the best deal on a Montreal city condo? Please fill out the form below, and we’ll get back to you with exciting offers that are designed to meet your precise needs and wishes. Prével develops large projects in the heart of downtown Montreal. Much more than concrete structures, they offer an urban lifestyle and many common areas. Thanks to its recognized expertise, Prével has managed to create authentic living environments by developing innovative designs that blend with their urban environment. From the very beginning, McGill Real Estate was a success, forging strong ties with many of the major project developers in Montreal. The agency’s unique approach has allowed McGill Real Estate to deploy specialized sales teams according to each project’s unique profile and to collaborate effectively with developers in placing their properties on the market. Their team continues to expand and develop, and McGill Real Estate has already represented projects totalling more than 5000 condominiums.